U.S. 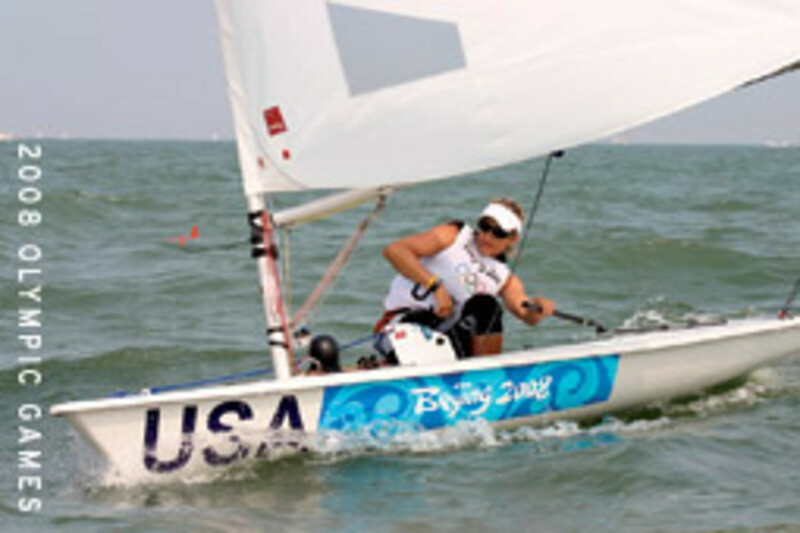 Sailing Team AlphaGraphics member Anna Tunnicliffe of Plantation, Fla., wrestled a week of wind and waves to win a bronze medal at the 2009 Laser Radial world championship in Karatsu, Japan. In typical Tunnicliffe fashion, the ISAF Sailing World Cup leader sailed a consistently strong regatta, scoring in the top five in eight of 12 races. The battle for silver and bronze came down to the last race: Tunnicliffe and France’s Sophie de Turckheim scored fourth and third, respectively, which resulted in de Turckheim securing the silver medal. 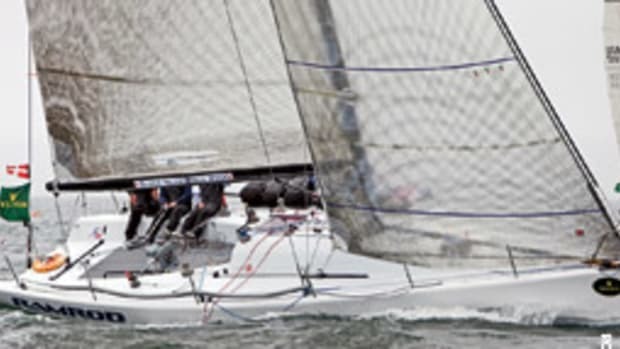 Finland’s Sari Multala won the regatta and was named the 2009 world champion. Many Team USA sailors fell ill during the regatta, including Paige Railey who suffered from a stomach bug and bronchitis. U.S. Sailing U-23 members Sarah Lihan of Fort Lauderdale, Fla., and Claire Dennis of Saratoga, Calif., finished 16th in the gold fleet and second in the silver fleet, respectively. Other Americans who competed were Catherine Chimney, Anne Haeger, Margaret Love and Erika Reineke. The 19 sailboats in this year’s Atlantic Cup offshore sailing rally from Tortola to Bermuda reached in northeast to southeast winds for the 850-mile passage. The Atlantic Cup is an annual event sponsored by the Cruising Rally Association, which provides friendly competition, shared weather information, crew lists, and twice-daily radio chats to boats returning to the United States and Canada from their winter cruising grounds. Antonina, a Cherubini Schooner sailed by Vince Archetto from New Jersey was the event’s overall handicap winner. The classic schooner, manned by a crew of four, out-sailed its handicap to beat out Clover III, a Swan 56, under the command of skipper David Fraizer, who was first to finish. Gil Smith and his crew on Joy For All, a Farr 50, finished second. Fado Fado, a Leopard 46 catamaran, with Denis McCarthy on the helm, arrived third. The rally fleet of nine boats completed the passage between 98 and 121 hours. 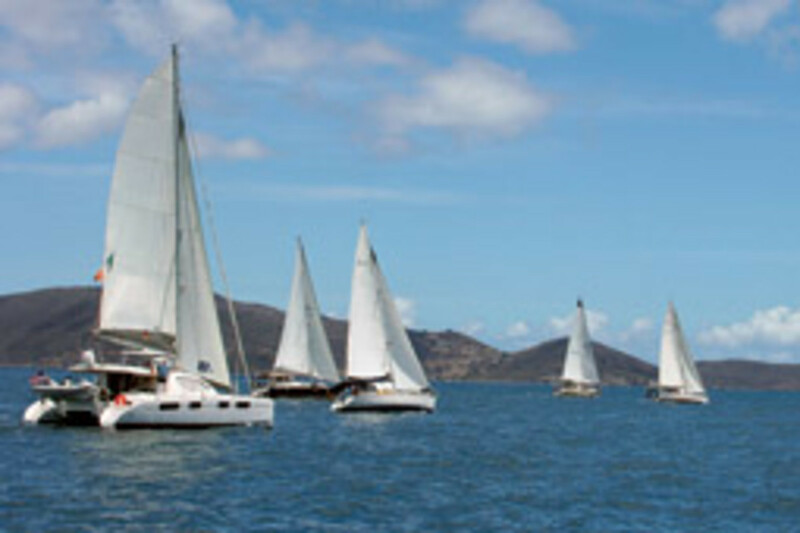 For the first time, the group departed Tortola from Nanny Cay Resort and Marina. The Cruising Rally Association returns to Nanny Cay later this year, with the Caribbean 1500 slated to start Nov. 2. 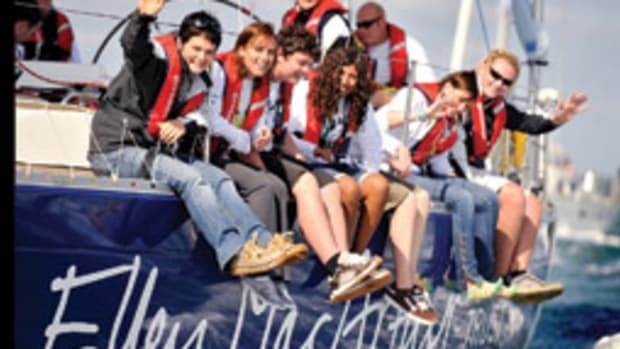 The 2009 Caribbean 1500 Rally will be the 20th annual running of this event, making it the largest and longest-running offshore cruising rally in the Americas. 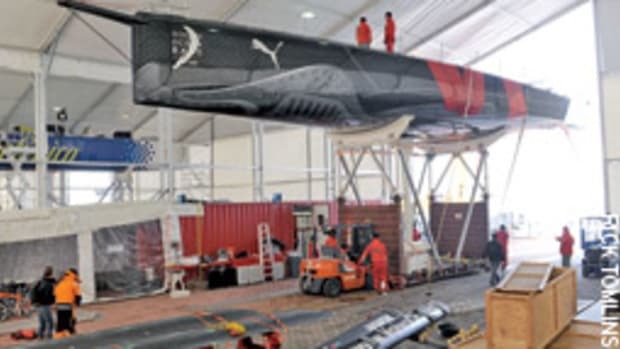 Five ocean sprints will be part of the 2010-’11 marathon solo circumnavigation of the planet in the Velux 5 Oceans race, organizers announced. The eighth edition of the classic solo yacht race, first established in 1982, will start and finish in the city of La Rochelle, France. The ocean sprints will be the 7,500-mile run from the start to Cape Town, South Africa, starting Oct. 17, 2010. The next 7,000-mile leg is to Wellington, New Zealand, and then 7,400 miles to Salvador, Brazil. The last two sprints are shorter ones to Charleston, S.C., and then back to La Rochelle, 4,000- and 3,600-mile legs each. The race has been billed as “The Ultimate Solo Challenge” since 1982 because of the stop-start nature of the high speed racing over the sprints, covering the greatest distance and time alone at sea of any race around the world. Velux and Clipper Ventures also announced a 500,000 euro Skipper Prize Fund and a further 700,000 euro to be invested in accommodation, logistics and communication for skippers, designed to reduce budgets and encourage skippers to enter the race. Four consecutive second-place finishes in nine races propelled Kyle Rogachenko to his second career U.S. Singlehanded Championship. The Detroit Yacht Club on Belle Isle, assisted by the Crescent Sail Yacht Club of Grosse Pointe Farms, Mich., welcomed 20 of the country’s top qualifying Laser sailors to this U.S. Sailing national championship series event, sponsored by Rolex Watch U.S.A. and LaserPerformance. Rogachenko of Collegeville, Pa., who won the 2007 championship, finished with 24 points to win the George O’Day Trophy. He fended off 2009 U.S. 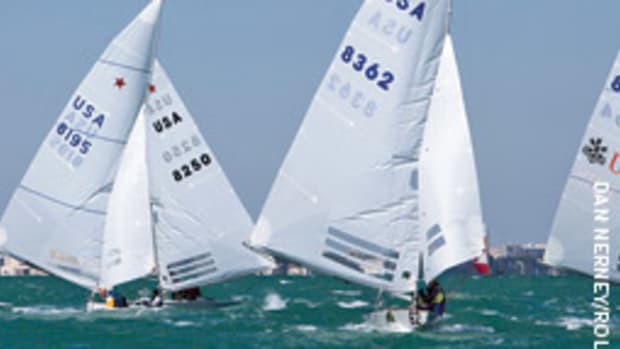 Youth Sailing Champion, Zeke Horowitz of Sarasota, Fla., who finished the final round of races with 28 points, including a late charge that featured a win in the regatta’s final race. Sailing conditions consisted of west/northwest winds at 5 to 10 knots, with temperatures in the mid-70s. Twenty sailors — ranging in age from 16 to 58 — competed for three days of racing on Lake St. Claire. 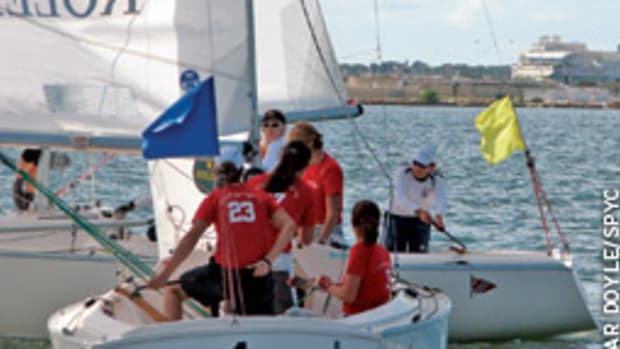 The Notice of Race for the 13th running of U.S. Sailing’s Rolex International Women’s Keelboat Championship is now available. 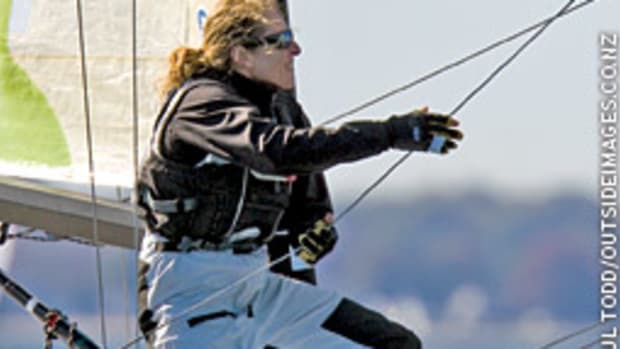 This event, one of the highest profile women’s keelboat regattas in the world, take place Oct. 7-10 at the Rochester (N.Y.) Yacht Club in Rochester. 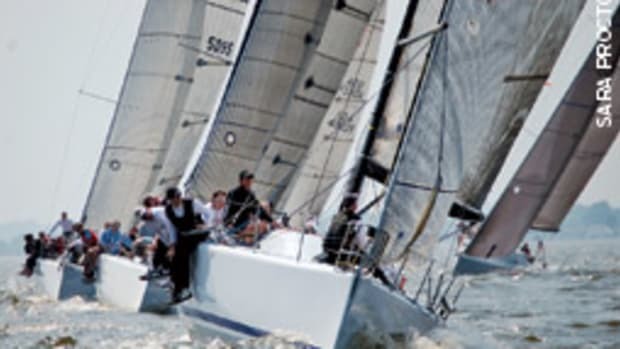 Previous competitors include 2008 Olympian and 2005 Rolex Yachtswoman of the Year Sally Barkow of Nashotah, Wis.; two-time Olympic medalist and four-time Rolex Yachtswoman of the Year JJ Isler of La Jolla, Calif.; and five-time Rolex Yachtswoman of the Year Betsy Alison of Newport, R.I. Other competitors come from Asia, Australia, Europe, South Africa and New Zealand. For information, contact event chair Anne Beadling by e-mail at riwkc09@ gmail.com or the Rochester Yacht Club at (585) 342-5511. “The U.S. Sailing Appeals Book for 2009 – 2012” is now available in hard copy at www.http://store.ussailing.org. This new edition includes the ISAF Case Book for 2009 – 2012, and comprises interpretations of the rules that assist sailors, race officials and judges in making the best decisions according to the rules, according to US Sailing. “As a competitive racer, coach and judge, I can say this book is loaded with important and useful interpretations of the rules,” says Dave Perry, US Sailing appeals committee chairman. 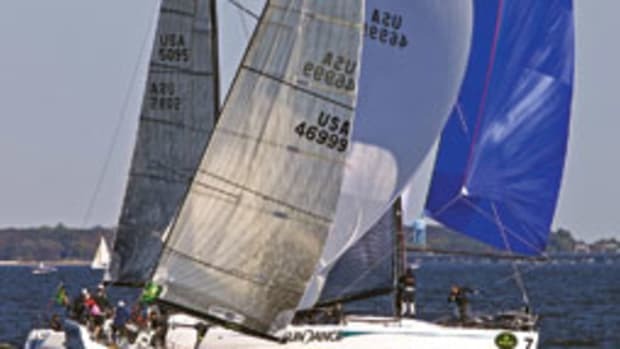 The appeals are decisions of the US Sailing Appeals Committee, and the cases are decisions of national authorities from around the world published by the International Sailing Federation. Typically, protest committees base their decisions on appeals and cases with similar facts. Members can read it online for free at www.ussailing.org/appeals.